Why you need a travel hair dryer? How to pick the best mini hair dryer? One of the best things one can experience is travel. It doesn’t matter are you traveling outside of the country, traveling to another city or just traveling in general. Meeting new people and getting to experience new feelings is something we all love to do. However, comfort is also something we all love. What happens when you aren’t feeling comfortable somewhere because there is something missing? Perhaps you don’t have a travel hair dryer and you can’t do your Sunday routine? Let’s talk about this a bit. It may seem like something unimportant, but having a travel hair dryer is crucial. What should you do if you can’t dry your hair in a hotel or a motel? What if you wanted to do your hair because you have a business meeting or a presentation, yet there are no tools you can do that with? A travel size hair dryer can save you in these situations. When you have one of these around, you are always ready for whatever comes next. Some women even carry these with them in their bags because they want to be able to do touch-ups. If you think about it, a mini foldable travel hair dryer can be used to dry other things too: wet clothes, wet documents, spillage. It can come in handy, that’s for sure. These fit in small bags, lockers, drawers and backpacks. There is literally no excuse! You gotta have one of these, even if it’s a cheaper one. There are some things you need to be focused on, especially since these are a bit smaller than regular hair dryers. Manufacturers sometimes make them significantly weaker than large ones and they often lack dual voltage. Some of these are advertised as a travel sized hair dryer, yet their dimensions don’t seem to be telling the same thing. Because these things can often get a little bit too complicated, we have made a list featuring 12 of our favorite mini travel hair dryer tools. You scroll through them and decide which one fits you best. We ensure you that each one of these is of good quality: we researched the statistics and checked out the reviews. This is a typical example of a foldable hair dryer that can be used while traveling. It has two heat settings and two-speed settings and the motor works pretty well for such a small device! Something that’s also important is that the dryer is dual voltage. This one is compatible with both 110/125 and 220/250 volts, which is great for those that travel abroad. If you choose a hair dryer without this dual voltage option, an adapter will be needed. This was you save money by getting one that already has the function. It’s very light, not even a pound of weight in it. This way, it won’t be hard to bring it around in your handbag, backpack or suitcase. Revlon became really famous because of the products they have been putting out these years. They focus on making things affordable, healthy and practical. This mini foldable travel hair dryer is one of those. It’s a compact little model designed to fit in any bag, even gym bags for those who are loving those cardio sessions! They didn’t make this dryer basic just because it is a travel model: they still decided to put ionic technology and 3x ceramic coating in it. This means that your hair won’t get damaged and will even get hydrated! No more frizz either! You have two heat and two speed settings along with a cool shot button. This one is pretty great for people who do their hair for meetings and presentations since the hair has to stay in shape for a long time and cold air locks it in. You also get a smoothing concentrator. This model is dual voltage. If you are wishing to find something really lightweight, this is the one. It barely weighs a pound and it can be folded so it fits anywhere: it’s easy to store and put away. There are two heat settings and two speed settings, which is something that is usually present in full-sized dryers. 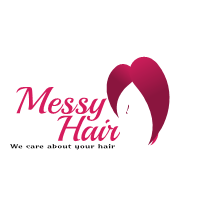 It’s made for all hair types, and it is dual voltage. This is very important to those who travel abroad since they can use their dryer without an adapter. People like it because it is also pretty affordable, which is important because not a lot of men and women want to splurge on a travel sized hair dryer. It’s important to be focused on technologies included in a dryer, even when you are buying a travel one, especially if you know you’re going to use it a lot. The things are, some manufacturers focus too much on the size and the dual voltage mechanism and they forget that hair dryer should be safe and healthy in the first place. It’s dual voltage and it has two heat and two speed settings. It doesn’t matter where you are and what the voltage is, this model supports 125-250 V! It’s an incredible range, especially for a 1875 watt device. This dryer has two heat settings and two speed settings, but you can also use the cool shot button to make your style last longer (useful for presentations, meetings, possible dates). You can fold it so it fits better into a smaller space too! It’s really good to hear that this particular model features ionic technology which has been proven to help the hair retain moisture and hydration. The Tourmaline titanium coating proves that this model isn’t just your everyday regular travel size dryer, it’s much more. You are also getting an ALCI power plug which helps you stay safe wherever you are! If you’re looking for something with a beautiful design, we are glad you stumbled upon this particular product. It’s a hair dryer with a very feminine touch, but also very important technologies like the tourmaline air outlet coated with ceramic. These substances control the quality of air, but also help the ion technology featured in this device. You hair won’t be frizzy and you won’t experience static electricity anymore. There are two speed settings and two heat settings if you are using the 125 V option, and one of each, when you are using the 250 V. This, means that this device, as well, is dual voltage. Don’t forget the cold air function along with the professional attachment you get in the package. One of the fancier models we present to you is this one right here. It’s not even much more expensive than a regular model, but it’s worth the little extra cash. This wonderful design comes with many accessories like the storage bag, the mini diffuser, the concentrator nozzle and so on. You can fold it, one of the smallest travel hair dryer on this list, so it fits anywhere. You won’t even know you have it with you since it weighs a bit over a pound. It has the tri-plex fusion design, which makes it the healthies dryer on this list. It has the nano keratin proteins, the ceramic and tourmaline substances inside of the material the product is made of… All of these things affect the health of your hair, and these make your hair much more hydrated. This product can be used at a dual voltage too. If you are looking for a really small and a really powerful device, we bring this 1600 watt powered beauty to you. It’s made to work on dual voltage, which is perfect for those who switch continents. There are two heat and two speed settings, and the device itself is pretty quiet. What’s really important in the design of this product is the fact that it has a lifeline shock protection. This is something that many hair dryers lack, but should have, especially when you are traveling and still getting used to the space around you. Sometimes you don’t even have to be clumsy for something to happen. Conair has many portable hair dryers, as we have seen, and this is probably the smallest one they made. It can be folded and the dimensions are really small (3.8 x 11 x 7 inches) so you can literally put it anywhere you wish even those little bags you carry to work. Two heat settings and two-speed settings help you achieve the level of delicate touch you feel like your hair may need. This is especially important for damaged hair. The fact that you are traveling doesn’t mean that you have to stop caring about yourself. It works on dual voltage so you’re free to travel anywhere without any worries. There is a removable air filter as well if you wish to clean it with a dry piece of cloth. Although it is a bit more pricey than the rest of the products on the list, this one is surely worth your attention. It is a very lightweight dryer with maximum power, it cuts drying time by 25%! It can work at dual voltage, USA and European plugs, so no worries if you wish to travel to other continents. Gammapiu is used by many professionals too, so we are sure that it will be good for you too. A travel hair dryer needs to be practical, compact, strong and safe. We can’t tell you what the best travel hair dryer is, but you can choose one of the products on the list. We made sure that all of these were very high quality, so it’s up to you to decide how much money are you willing to spend. Don’t forget that, although it’s just a travel version of your regular dryer, it still affects your hair. That’s why it would maybe be a good idea to pick one that will leave a good impact on your hair and still maintain the healthy look you have been trying to achieve.